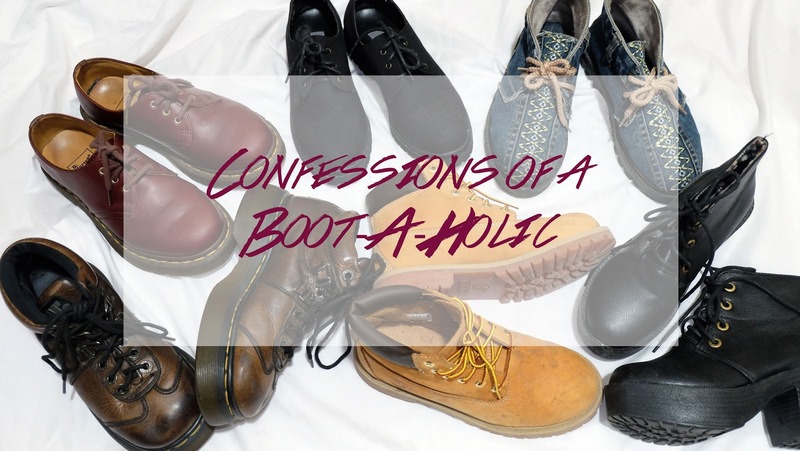 Confessions of a Boot-A-Holic: I'm Loving It! This is the best day of my life because I get to share something that I obsess over (kind of) in my blog and added some spices to it. Therefore, it's not fully a story of my life because I will state a THREE reasons why I love wearing boots. This is my first Timberland boots, and the reason I bought this because of Melbourne Trip. Most of the times during travelling, we depend on public transport and that required us to walk a lot. After half day of walking, my feet doesn't feel hurt at all and I didn't have to deal with shoe bite! I'm totally going to wear this for every trip from now on. Dr Martens For Life! Yeah, this is actually a collection that come with a lifetime guarantee. This shoe have been with me throughout my internship day. 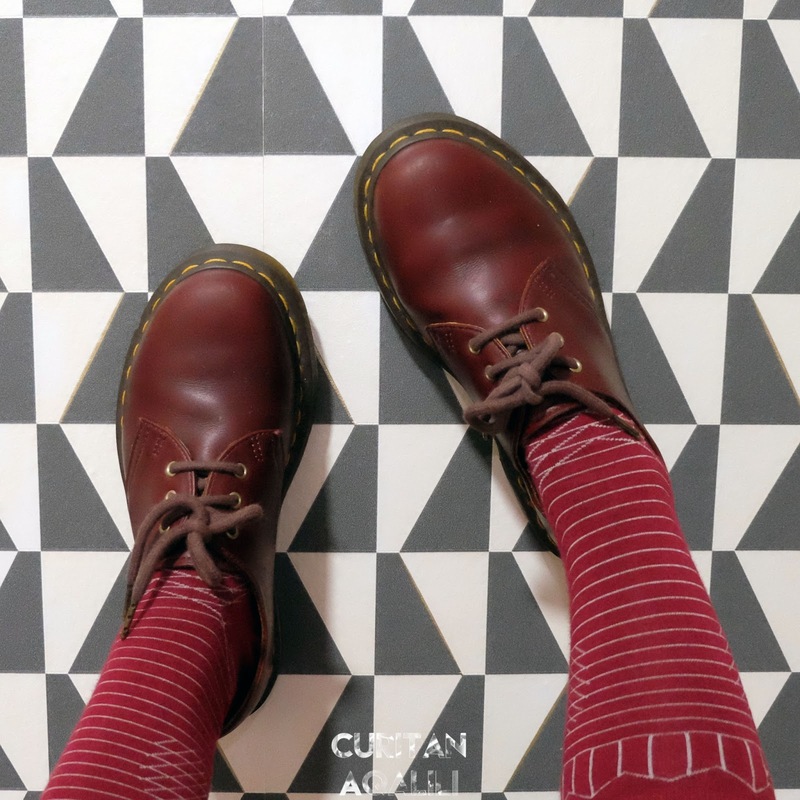 Yes, I do wear Dr Martens to the office and its versatile because I can continue wear it after office. 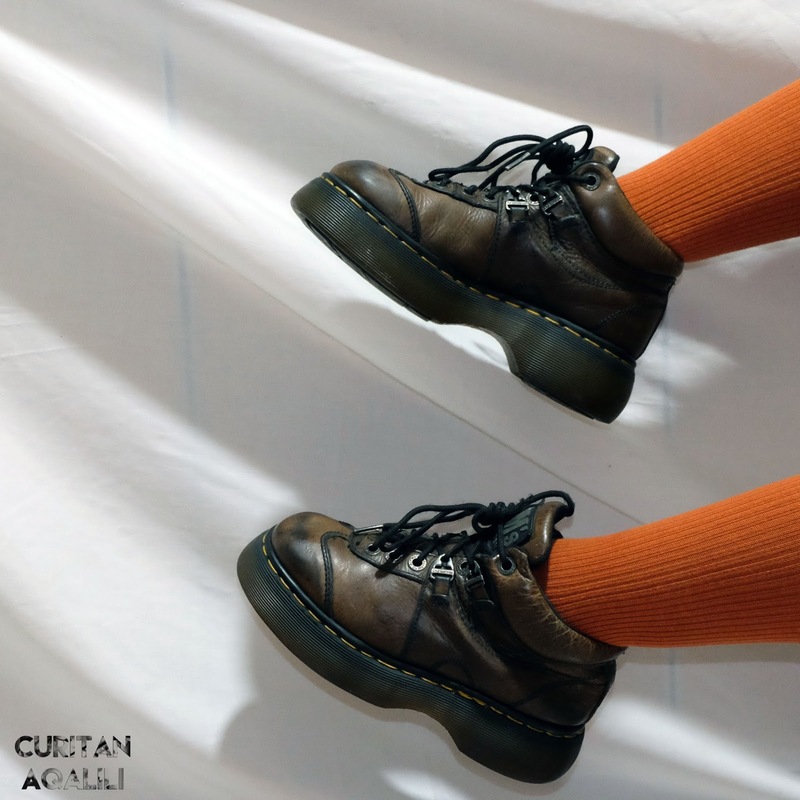 I totally recommend you to at least add one Dr Martens boots into your collection because it can be use in any occasions. Just choose the boots accordingly to the versatility. You can see that this masterpiece is vintage! I found this Dr Martens Air Wair at Ayo Asia, Johor Bahru and know right away that I need to add this on my boots collection. From this shoe condition, you can see that this is from the old collection. I'm not sure about the year but I am positive about the vintage thingy. The shoe soles looks like new although the material looks wrinkly. Right now I owned 6 pair of boots and I don't plan to get another one soon. For me, each of boots that I owned can be wear for anything. As you can see, I owned only one Chunky Heels Boots and that are for special occasion for me to wear heels instead a traditional heels. I hope you like today post and share your boots or any type of shoe collection at the comment box below. Cheers! Subscribe to our email list on top of our page and be the first one to receive updates from us! VIDEO: What's In My Travel Toiletries Bag?